He is a global superstar, he is an icon, he is a legend, he has billions of followers dying to get his one glimpse and he is an actor par excellence. We are talking about non-other than the King of Romance- Shah Rukh Khan. Many in the Bollywood industry have made it big but what makes Shah Rukh Khan so incredible and inspiring is the undeniable fact that he is perhaps the only self-made actor of Bollywood who has reached super-stardom. Who would have thought that a young actor from Delhi, initially failing to get roles in films who had once said on the Juhu Beach all crying- “I’ll own this town one day”, would actually own the city of Mumbai in various ways a decade later? Shah Rukh Khan’s mom used to say that he looks like Dilip Kumar. The yesteryear legendary actor back in the 1950s had as well played the role of Devdas on-screen. 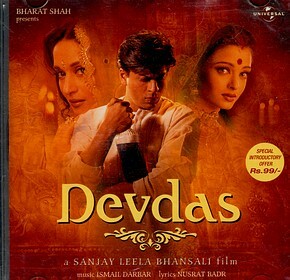 Almost half-a-century later Shah Rukh played the same role in Sanjay Leela Bhansali’s magnum opus. No other actor would have been able to pull this off so brilliantly. 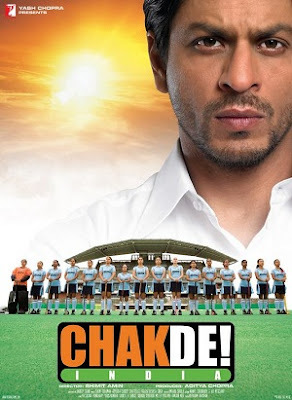 If you haven’t watched the movie, it’s a must watch for Shah Rukh’s brilliant performance, especially the “My Lord” scene, where he breaks alcohol bottles after bottles. 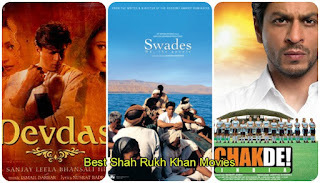 The classic story of brain-drain and realization of love for one’s homeland, Swades, has been given full justice by Shah Rukh Khan. One journey back to home to take his aunt to America and everything changes for Mohan. 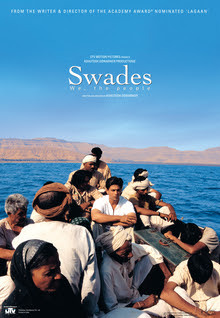 Especially the scenes where Shah Rukh realizes he needs to stay back in his village leave us all teary-eyed. A former hockey player with tainted character of betraying his country coaches an entire women’s hockey team to victory and redeems himself. This movie is all about thrill, emotions, hard-work and love for one’s country. Shah Rukh is a delight to watch for his overt simplicity which we usually don’t get to see on-screen and this adds a unique element to his performance. How many times do we get to watch Shah Rukh Khan playing the role of a shabby old guy? He nails his role in this classic. With his portrayal of an army officer spending his time in a jail in Pakistan for a crime he didn't even commit and waiting for his release for more than 20 years! Do watch this now if you haven’t. 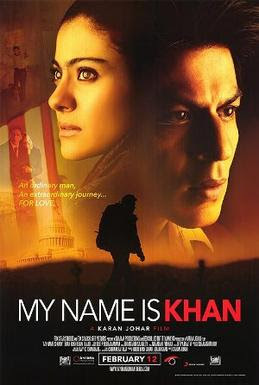 My name is Rizvan Khan and I am not a terrorist. Rizvan suffers from Asperger’s syndrome and in spite of that has the confidence to embark on a journey to meet the US president and tell the whole world that all Muslims aren’t terrorists. 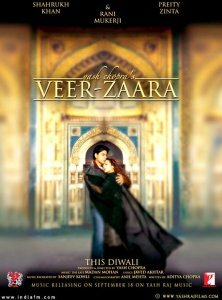 One is always glued to the screen when Shah Rukh arrives and can’t take their eyes off his splendidly amazing acting. Next Read: Why Was Shah Rukh Not Included In The Oscars List But Aamir And Salman Were?